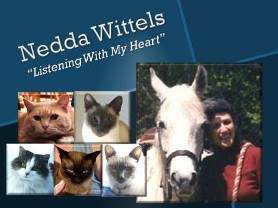 Browse > Home / Animal Communication FAQs / What If I Don’t Get an Answer from the Animal? What If I Don’t Get an Answer from the Animal? This is actually a more complex question than may, at first, be obvious. On the other hand, if you’re just learning to communicate, there are some ways that you may be blocking yourself from receiving a response. You’re just starting out the conversation and you’re not getting a response. You’ve been engaged in a conversation and suddenly you can’t telepathically hear/sense/feel/see the animal. I’ll discuss the first category in this post, and the second in the next post. you’re not getting a response. 1. At the most basic level – that of a beginner in Animal Communication – you may be getting a response that is unexpected. In other words, you may be expecting to hear words, but instead you’re having a feeling, or a knowing, or the response is coming visually or some other way. If this is what’s happening, the best things to do is just BE OPEN TO POSSIBILITIES and EXPECT THE UNEXPECTED. Learn what your best way of receiving is and accept it. Then you’ll discover that you’re receiving all kind of messages. 2. The animal may be shy around strangers. If this is some else’s animal companion or an animal who has been through a difficult time before being adopted, the animal may not trust anyone and be reluctant to speak. This can happen, too, when speaking with an animal in a shelter or a zoo or other area where an animal is confined. If this is the case, you might ask the animal’s person to encourage them to talk with you. You also need to become very quiet and give the animal lots of telepathic space, instead of rushing in to have the conversation. With patience, you might find yourself rewarded by a very tiny, quiet, and gentle indication of connection with the animal. a. You’re sitting hunched over and trying too hard. Instead, sit back, open your posture, take some deep breaths and relax. b. You’re holding your breath. Take some conscious breaths. Watch your breath go in and out for 4-5 times. c. You’re not grounded. Use a grounding technique so that you’re all the way into your body and connected to the Earth. d. You’re slightly dehydrated (a common situation among most humans today). Drink some water. After you check out each of these and make the correction suggested, try again. 4. You may have a limiting belief interfering with your receptivity. To open yourself up, use your imagination. IMAGINE that the animal is responding. Having an imaginary conversation will open you up to the experience of telepathy with animals. 5. The animal may just not expect a human to be communicating telepathically and is, therefore, ignoring your efforts to connect. Try making the connection 2 or 3 times. If you don’t get a response, after waiting patiently each time, stop trying with that animal and try with a different one.